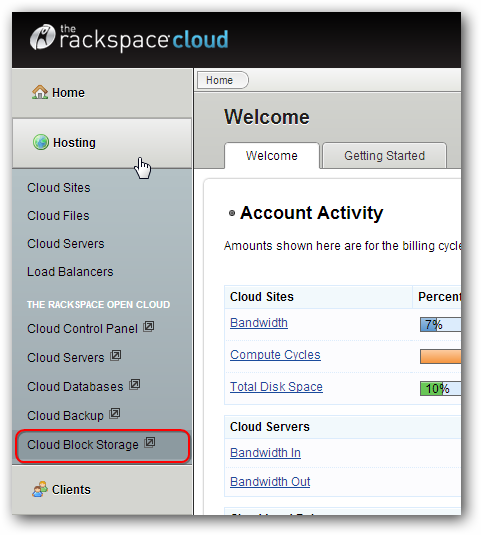 Cloud Block Storage is a Service from Rackspace to address the growing demand for a reliable storage Rackspace Cloud clients. We have a good number of articles on Cloud Storage itself, which might help the new Cloud Block Storage users from theoretical background. We have discussed about Architecture and Technology of Cloud Storage, Cloud Storage Gateway and basics of Cloud Storage and Cloud Computing. The choice of Cloud Block Storage is expanded from the limited preview from April, which was launched at the time with five other cloud products. 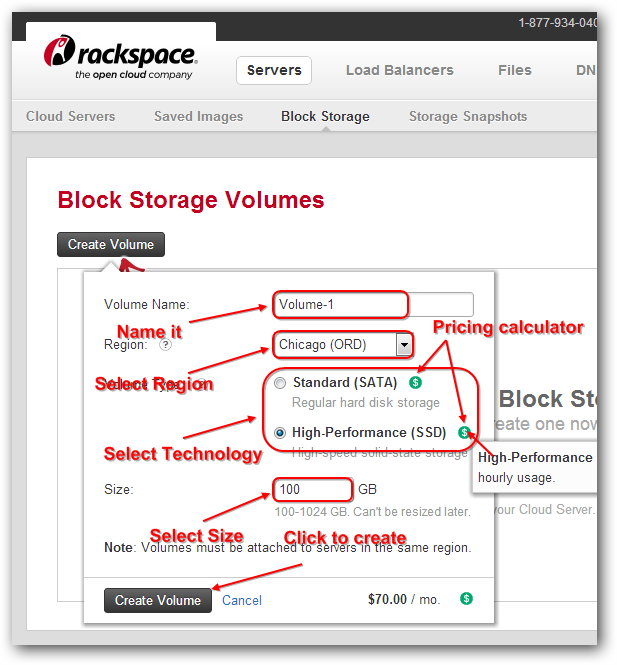 The major feature of Cloud Block Storage is its flexible storage pricing model in which users are billed as post usage like other Rackspace products, calculating usage in per gigabyte instead of I/O operations per second. It is obvious that, Cloud Block Storage is also based on Open Stack Swift. This new model Cloud Block Storage, Rackspace allows the users a more reliable storage connected to the cloud, offers the most robust and reliable performance for file systems, databases or for running heavy duty applications at $0.70 per GB per month charge for SSD. The pricing model, along with the quality of Cloud Block Storage, gives another potential slap to its largest competitor; Amazon Simple Storage Service, which applies different rates depending on the region and it charges its customers and storage for the transfer. The first potential slap was Load Balancer service from the underlying technology. Cloud Block Storage users can choose between a standard option ($0.15/GB per month) or SSD option that offers higher performance. The standard option is designed for customers who need large amounts of storage every day, while the SSD option is most suitable for those customers who require higher levels of performance than the standard drives. Both options are characterized by flat rates no cost of I/O and designed for distribution with Cloud Server. This is the basics of Cloud Block Storage. We will show very advanced usages through next guides. It was far better to give a direct link in one sentence towards Rackspace’s that article. Forget about Cloud Block Storage, we can give warranty that the writer Rachel King, never worked with Open Stack on Bare Metal. It is about Open Source, it is about usefulness of the content. Rackspace itself has enough good guides. Contribute more. These kind of websites will become useless day by day for the end user. Writing WordPress is great definitely has no value to an user. This Article Has Been Shared 840 Times! 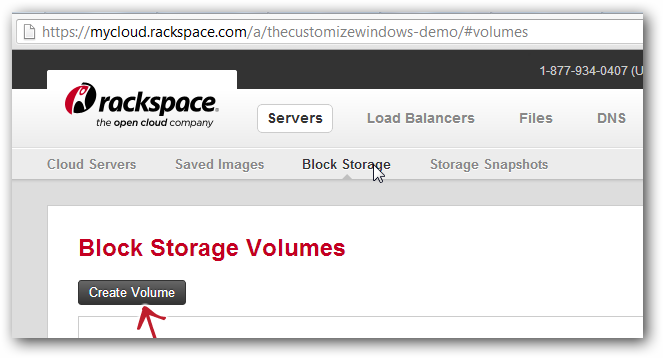 Cite this article as: Abhishek Ghosh, "Cloud Block Storage With Free I/O From Rackspace Guide," in The Customize Windows, November 14, 2012, April 19, 2019, https://thecustomizewindows.com/2012/11/cloud-block-storage-with-free-io-from-rackspace-guide/.